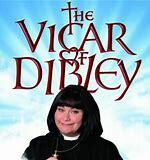 “The Vicar of Dibley” was a British comedy series put together in the 1990s by Dawn French (Who plays the Vicar.) – one of the creators of “Absolutely Fabulous” – another insanely funny show. The “Vicar” was about a small conservative English village where their Church Vicar has died. The chaos ensues when the new Vicar arrives…and it’s a Woman! One of my favorite among the characters living in Dibley was “Alice Tinker” the Church Verger – a sort of assistant/caretaker. Alice was played by an actress named Emma Chambers. Alice Tinker was a lovable character who lived in her own special, childlike and confusing, world. To put it nicely I can say that “Her elevator didn’t go all the way to the top.” Alice had a way of looking at the world that translated into nonstop laughter in my heart. Alice’s creator, the Actress Emma Chambers, worked a lot in feature films as well as British television. She was in the Julia Roberts film “Notting Hill” among many others. In my feeble opinion, however, her work as “Alice Tinker” was her shining hour. 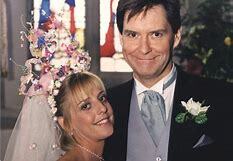 “The Vicar” ran from 1994 until 2007 with a few gaps in there – like a lot of British shows. Sadly, Emma Chambers passed away suddenly last year. She was only 53 and died from a massive heart attack. While on “The Vicar” the character of “Alice” grew from the vaguely vague young lass to marrying the painfully shy and also rather vague, son of the richest man in the village. Alice also portrayed Mary in the Village Christmas Pageant and actually giving birth to her son during the show. The manger came in handy as the audience was awestruck at how realistic it all seemed. I remember that wedding… there was a Teletubby or two there, weren’t there?